Hi Dolls It’s finally Friday :) woo hoo! 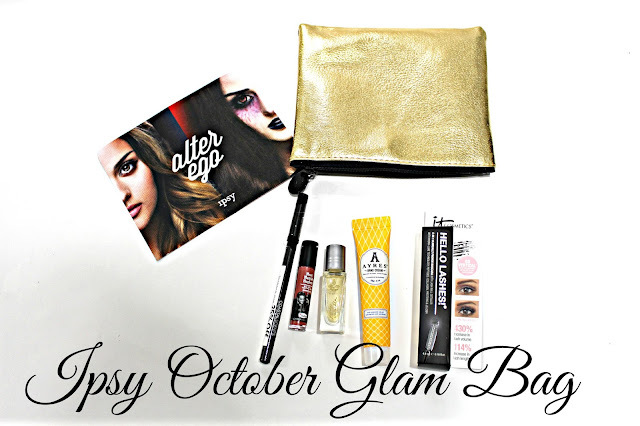 Today’s video is my October Glam Bag Unboxing. I really like doing this type of videos to share with you guys what I get in my Ipsy bag since we all get different products. it’s a nice way to tell you my first impression on the products or my review if I have used them. P.S. Don’t forget to Like and Subscribe! ¡Hola muñecas finalmente es viernes :) woo hoo! El video de hoy comparto lo que hay adentro de mi bolso de Ipsy para el mes de Octubre. Me gusta hacer este tipo de videos para compartir con ustedes lo que me sale en mi bolsa Ipsy puesto que todas tenemos diferentes productos. Así que es una buena manera de decirle mi primera impresión sobre los productos o mi comentario si los he usado. what did you get on your bag? ?